Associated Press: Notre Dame cathedral is burning in Paris on Monday. Massive plumes of yellow brown smoke is filling the air above Notre Dame Cathedral, and ash is falling on tourists and others around the island that marks the center of Paris. The blaze collapsed the cathedral's spire and spread to one of its landmark rectangular towers, but the city's mayor later said firefighters were optimistic they could salvage the main towers from the flames. 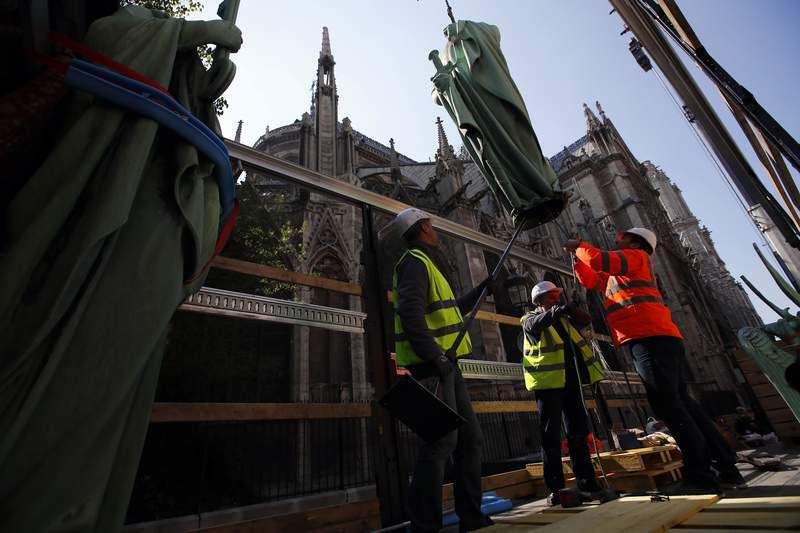 The cause of the blaze was not known, but French media quoted the Paris fire brigade as saying the fire is "potentially linked" to a $6.8 million renovation project on the church's spire and its 250 tons of lead. Prosecutors opened an investigation as Paris police said there were no reported deaths. About 400 firefighters were battling the blaze well into the night. Associated Press reporters at the scene saw massive plumes of yellow-brown smoke filling the air above the cathedral and ash falling on the island that houses Notre Dame and marks the center of Paris. As the spire fell, the sky lit up orange. Paris Mayor Anne Hidalgo said in a Twitter message that Paris firefighters were still trying to limit the fire and urged Paris residents to respect the security perimeter that has been set around the cathedral. 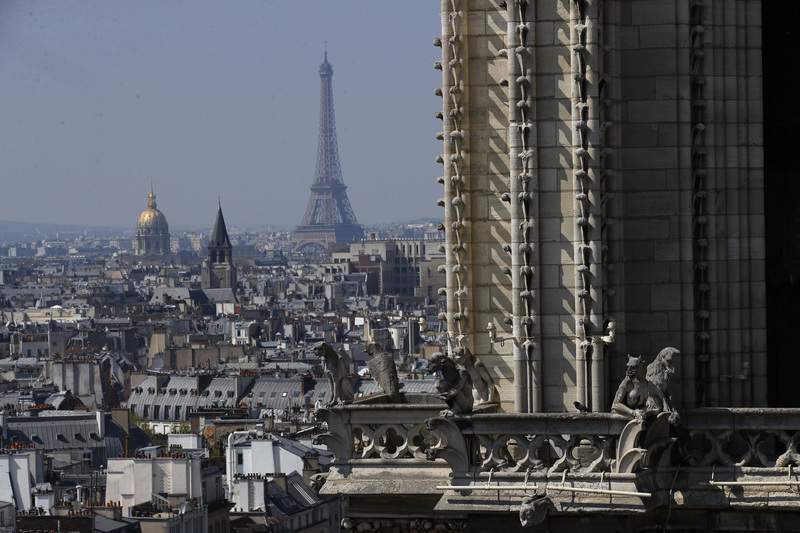 Hidalgo said Paris authorities are in touch with the Paris Roman Catholic diocese. 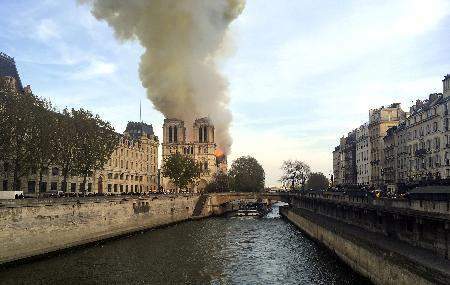 Reactions from around the world came swiftly, including from the Vatican, which released a statement expressing shock and sadness for the "terrible fire that has devastated the Cathedral of Notre Dame, symbol of Christianity in France and in the world." Elaine Ganley and Sylvie Corbet of the Associated Press contributed.